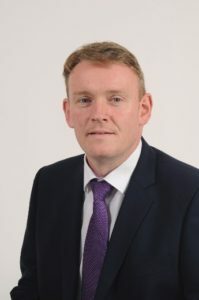 Micheál was first elected as a public representative, in the Granard Area, in 2009. He was then re-elected in the Granard Municipal District in 2014. He is married to Una and they have 3 children, Braiden, Odhran and Davin. A Postmaster in Ballinalee he is deeply rooted in numerous organisation in the local community and county. An exceptionally hard working and effective representative, he is currently Longford GAA’s representative on Central Council in Croke Park, having previously served as Youth Officer, Leinster Council Delegate and vice-chairman of the County Board. He was a member of the Midlands Regional Authority from 2009 to 2014. He is currently on the Board of Management of Ard Scoil Phadraig in Granard and is also treasurer of the local Sean Connolly GAA Club. Micheál was instrumental in securing funding for a monument for the late General Sean MacEoin in Ballinalee. He is also chairperson of the County Longford Tourism Committee, who working with Longford County Council recently completed upgrades to a 16km length of the Royal Canal towpath as a walking and cycling route. As a result of Micheál’s relentless work, a playground, funded through the Leader Programme, was opened in the village of Ballinalee and is a great amenity to have in the small picturesque village. In future Micheál will continue to work in improving local services for the people of Longford. He will do all within his power to effectively represent all of his constituents.